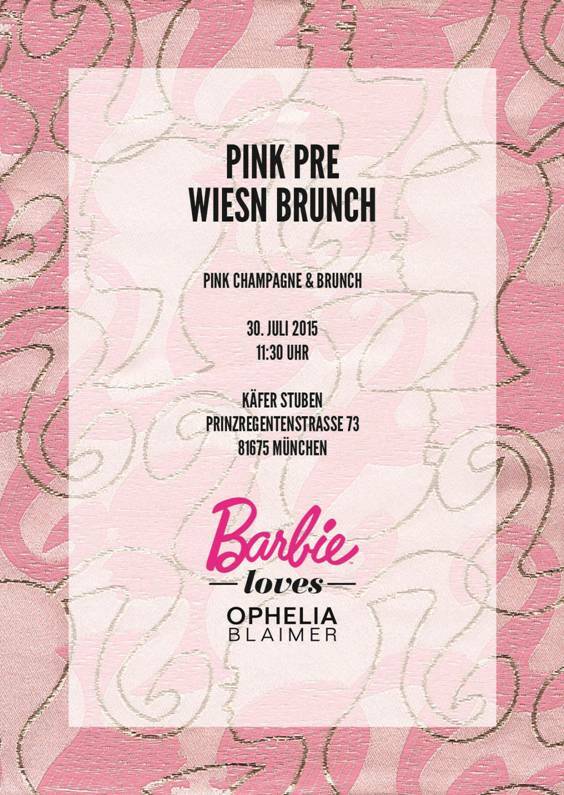 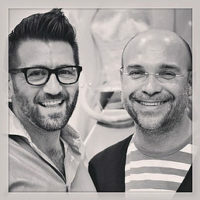 In July 2015, German Fashion designer , Ophelia Blaimer joins Barbie for a special collaboration and event in Munchen. 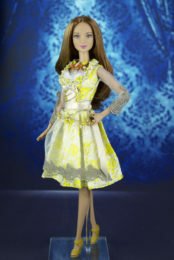 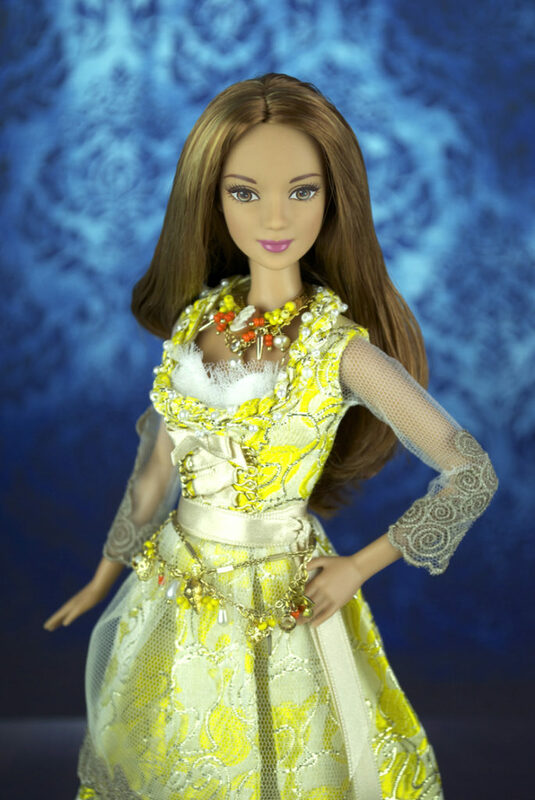 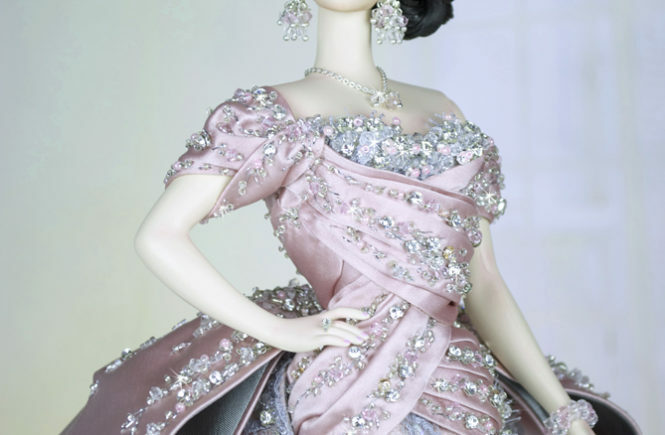 Following her distinguished clothing and jewels line for Barbie, Magia2000 created this exclusive 3 one of a kind Barbie doll for Mattel Germany. 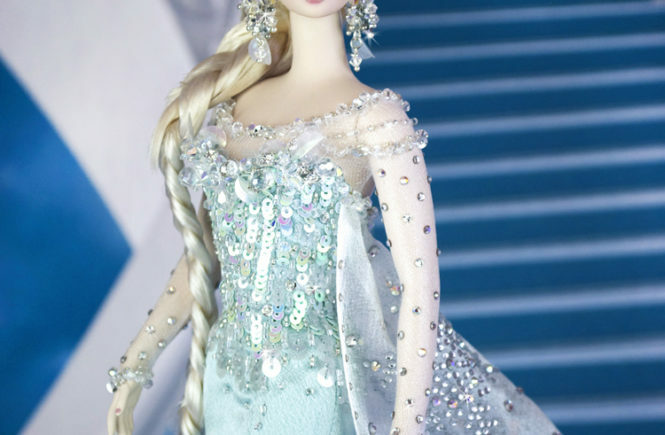 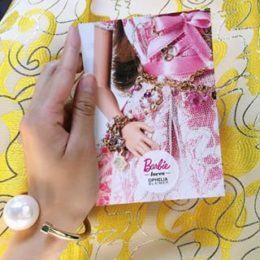 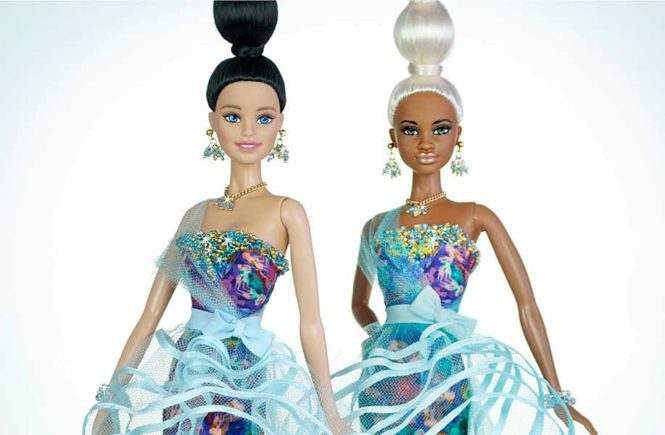 The dresses are replica of her original design for Barbie models in 3 different colours, with a special Barbie logo printed brocade fabric and handmade jewels, includinh necklaces, jewel belts and bracalets.